Keep your prime rib, roast beef, turkey, and more at ready-to-serve temperatures at your buffet station with this carving station with flex mount lamp from Nemco. 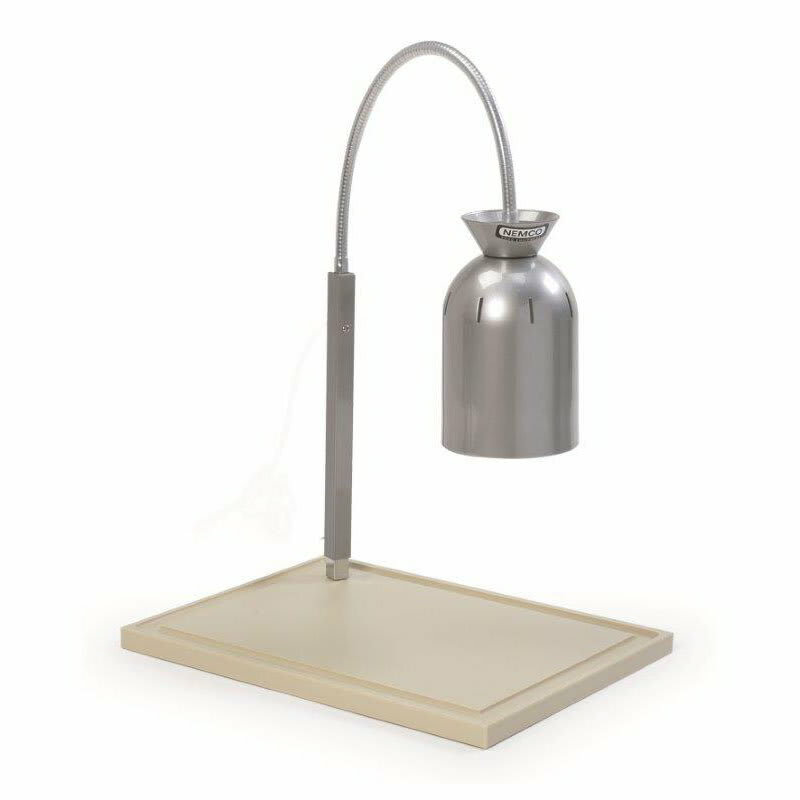 The adjustable 30" high flexible gooseneck mount has an attractive aluminum hood with a durable, scratch-resistant finish that is easy to clean. A 250 watt infrared bulb keeps your meat at an optimum serving temperature, while helping maintain its appetizing appearance. 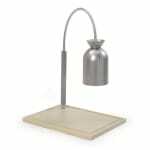 This carving station's USDA high density polyethylene cutting board removes easily for cleaning.